(Teton Village, WY, December 11, 2018) – Jackson Hole Mountain Resort (JHMR) is pleased to host a fantastic weekend full of events and an open house at Solitude Station. JHMR will host an open house at Solitude Station this Saturday, December 15th, from 12:30- 5pm. Solitude Station, which opened earlier this season, is the latest offering showcasing Jackson Hole’s continued devotion to ski and snowboard progression and the family experience. Entirely dedicated to kids and adults learning to ski and snowboard, this vast complex is conveniently accessed via a quick two-minute ride on the Sweetwater Gondola from the base area. Geared for kids ages 7 and up, as well as families and adult group lessons, Solitude Station is designed to maximize learning and development in an empowering and constructive atmosphere. This Saturday, JHMR welcomes guests to come and experience the new lodge with an afternoon of music, food and drinks. Complimentary beginner lift tickets, rental gear and lessons are available from 12:30- 4pm. 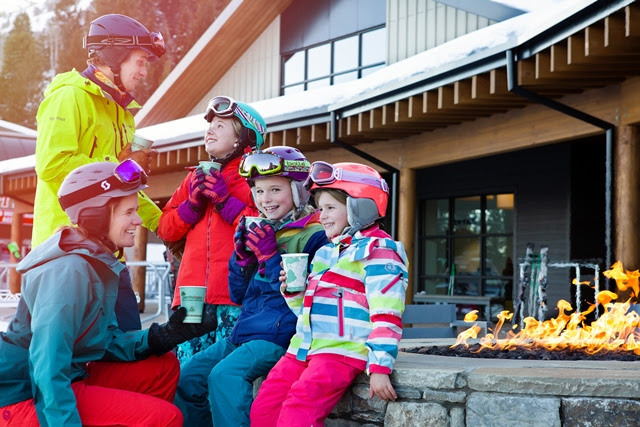 Complimentary 2 hour beginner ski and snowboard lessons will take place from 1-3pm. To top this off, from 3 -5pm complimentary hot cocoa and cookies will be served for the kids, and adults can enjoy small bites and drink specials. Chan Man Roots Band will be playing throughout the afternoon. This Sunday, December 16th, Hole in the Wall Sports presents the Burton Jam Session. Registration starts at 12:30pm and events take place on the mountain from 1 – 4pm. Following the on-snow events, guests are invited to an open house at Hole in the Wall from 4 -6pm with pizza and beverages, Burton archive in the Gabe Room, Mountain Man awards, raffle, and retail discounts on all Burton products.